I coached myself for some time and contacted Gina after a DNF at IMNZ 2017 which really destroyed my confidence. Gina got me into a great training routine which accommodated my family and work commitments and totally restored my confidence. With Gina I am training smarter and racing so much better. Since the DNF I have completed Ironman Canada, Challenge Wanaka half and a number of running races where I achieved a PB in half marathon at age 46! Gina has a wealth of knowledge stemming from her amazing professional career and this knowledge from training, racing to nutrition is invaluable. Gina is truly a humble and amazing person who motivates and encourages you to succeed. When I speak with her via Skype or in person it is like I am her only athlete. For anyone wanting to be the best they can be Gina is the coach for you. I've asked for Gina's help to prepare me for Ironman 2019. And couldn't be happier about my decision. It's great to have such a knowledgeable coach who has done heaps of Ironmans and countless half Ironmans. Her workouts are actually fun and engaging; I'm swimming longer and better than I was before and not dreading it! The intervals are fun and can fit into a busy schedule. The long steady stuff is done when more time is available. Can't recommend enough! (Emanuel Nov 2018). Gina is the first coach I consulted when I wanted to make better use of my training time. She has been really great in helping me reach my goal of completing Ironman Nice 2018 with flexibility and support built in to rehabilitate injuries. Now she is working with me on my next triathlon goal and I'm seeing real improvement in my performance. Gina has so much experience to share for any situation you may encounter as a triathlete (Liz, Nov 2018). A truly tailored coaching programme that is reflective of not only your needs but also other life commitments (family, work etc). With the ability to seek real time feedback my training programme has exceeded my high expectations at a very reasonable cost. Hamish Nov 2018). 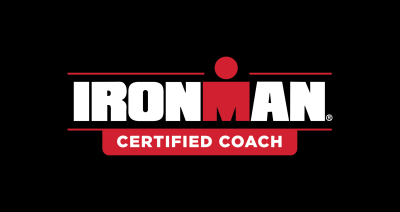 Have Been working with Gina Crawford Ironman Coaching for a season and would totally recommend her. Her experience in invaluable and I have seen vast improvements in my Triathlon events. (Brendon, Nov 2018). I have been working with Gina for 2 Ironman seasons, her experience and true dedication to you training is 2nd to none. She is easy to work with and her support and commitment is 100% to you. I would recommend her to anyone!! (Edward, Nov 2018). I have been training and racing triathlon events in all distances including full distance for the last 10 years. I always wondered what a coach from the professional Ironman arena can bring to my training plan in terms of knowledge and experience... with Gina I found exactly what I was looking for. Vast and extensive knowledge, a detailed training plan which looks like nothing I ever seen, and the results came with the training. I would recommend Gina to anyone looking for a professional triathlon trainer, with close monitoring even if it’s over the email/Skype. (Shai, Nov 2018). I've been training with Gina for the last year, and this process exceeded all my expectations. First, her attitude, detailed answers and responsiveness, is like I'm her only trainee, and I'm going to compete with Lionel Sanders and Patrick Lange on the 1st place in Kona (confession, I'm not). Of course her knowledge in training, nutrition and injury prevention,is invaluable. Needless to say, all my results were improved. Can't recommend highly enough. (Itzik, Nov 2018). Just wanted to take the opportunity to thank Gina for the support and guidance she has given me through the winter with my first ever coaching programme. My goal this year is the enduro series which includes the Iron Maori quarter, iron Maori half, both in Napier. The later this coming weekend. Followed by the enduro which is the longer distance held at The Mount on the same day as the Port of Tauranga half ironman in jan. Finishing the year with IMNZ TAUPO in March. I have learnt so much already and my mind and body feel stronger and more self assured and in tune with each other. Gina is very easy to talk to and is always only too happy to explain even the simplest technical dietary triathlon or training queries I throw at her. I'm enjoying the results and benefits of her small technical critiques to different areas of each discipline and look forward to putting all the training into practice at each event on race day. Thanks Gina. (Sonia, Nov 2018). I enjoyed every session you had set for me, challenging yes but so worth it. I would not hesitate in recommending you, such a wonderful supportive coach! This was a 28 year dream for me and you tweaked me into the athlete I needed to be. Thanks again so so much. We now knuckle down to tackle Kona! (Shannon Lum after qualifying for Kona 2018). I am fortunate to be one of the first athletes Gina started coaching at the beginning of 2016.I had entered Taupo Ironman in March and although I had competed in over a dozen Ironman events, my times had not differed a great deal as I was mostly self taught and basically just did lots of mega miles with little improvement. 3 months out Gina prepared a specific programme that concentrated on improving my strength and speed and allowing me to get off the bike feeling strong and confident about running the marathon. I completed Taupo Ironman in 12.07. The fastest I have ever gone and an improvement of over 20 minutes from the previous year. And that was just in 3 months! Gina seems to know when to contact her athletes. She has this amazing ESP and knows exactly what to say at the appropriate time. I love her calming nature, her knowledge,expertise and encouragement.I love her programmes! (Barb, 60-64 Age Group champion IMNZ 2016 and Kona Qualifier). I would not have achieved the results I did without having Gina Crawford on board. You go above & beyond all the time. I am endlessly thankful for your contribution & a very lucky athlete to have had you on course for my first race. I'm thrilled to have got this result for you. You're a beautiful human. (Sarah, first Ironman, 11.58 after 5 months on the programme). Can't say thanks enough to you, never ever in my wildest dreams did I think this was possible, I was aiming for 1:30 today and I knocked it out in 1:14:20, and got a 3rd place in my category. (Deon, beginner triathlete 2 months into his programme, working towards Challenge Wanaka or IMNZ 2017). Super happy with my result which was a PB for me over the half distance and I was 5th female overall. This time last year I had awful injury problems and have found it hard to have the confidence to push myself in the sport since, today was the first time since that I've felt really good racing again. Big thanks to my amazing coach Gina Crawford. Thanks again for helping me make the huge improvements I've managed this year. It's been such an amazing season! (Sophie after finishing her first Ironman 70.3 World Championship event with a PB!). It has been just fantastic for me to have you as a coach albeit for a brief time and you are a truly inspiring person and have such a lovely understated and humble way despite your great achievements. I have learned a lot of little but very important things over a short time alongside my training schedule which seems to have suited me well. I cannot thank you enough for all this and you have always made yourself available and come back to me. (Stewart before going into Ironman after 12 weeks on the programme). Last year I did the same race without your guidance, 5:44 my time. Is just crazy how much improvement we have done. Thank you for getting me where we are now, and excited to see more of it. I cannot thank you enough for your advice, guidance and wealth of knowledge that you have shared with me....so far....I've still got more to learn and definitely more to give! Am still buzzing that I had such a good race! Thanks for all your support and help, I’ve learnt some really great tips and am really excited about my next season (whenever that may be!). Thanks so much again for your great work, have really enjoyed the way you’ve coached and being able to email at any time and know I’ll get a quick response. (Whitney after PB at Challenge Half 2017). Thank you for your plans and getting me through the event feeling so good right until the end. It’s the first time I have not cramped in the last half of run. I'm stoked with my time. Had a good swim and bike. Thanks so much for your epic coaching and support. Overall, I’m happy to conquer to the most challenging 70.3 ironman course, with all the obstacles that i have to handle. I also want to say thanks so much to you, for the train plan, inputs, assistance, gain my knowledge/ skill.